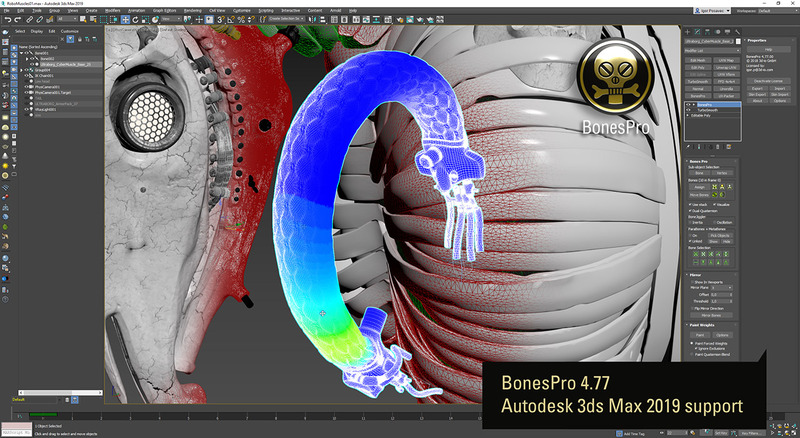 BonesPro 4.77 ready for Autodesk 3ds Max 2019! BonesPro has been updated for full compatibility with 3dsMax 2019. Plus, we added some improvements and fixes. Enjoy! If you already own any of our licenses, updates are of course free here.